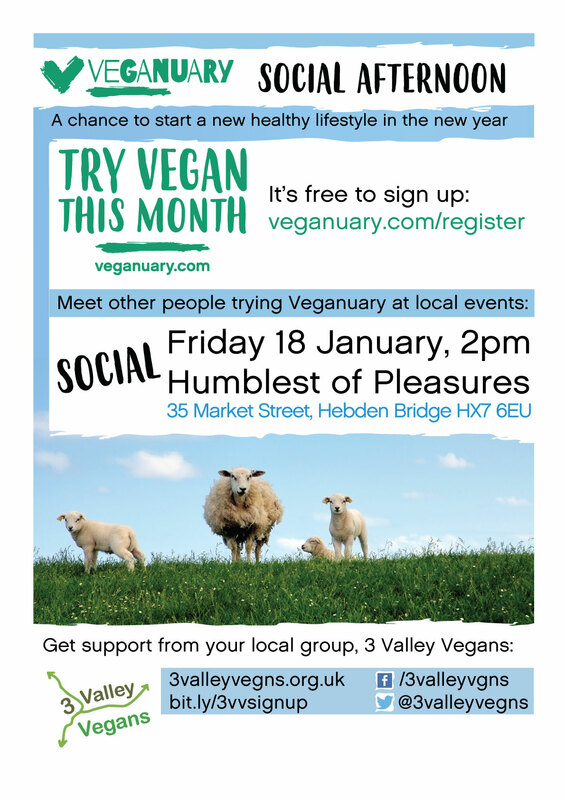 Our support for Veganuary continues throughout January 2019 with our social gathering. Come along if you would like to share your experience of trying a plant-based diet for the new year, or if you have any questions that you’d like to ask other people who are trying it out too. Perhaps you would like to know about shopping, cooking or eating out? How do you get on with friends, family or colleagues? What have you found most difficult and most easy? There will be a chance to speak to people who have been vegan for many years who can describe how the health and well-being aspects have worked out for them. We will be hosting a quiz at the end of the month too! Details to follow.